Virtual Worlds & Games UnSymposium | The twenty- first century is when everything changes. The twenty- first century is when everything changes. This is year 10 for the Edublog Awards! As an advocate for game based learning, that’s the arena where most of my nominations live, I’ve pulled from massively multi-player online games and virtual worlds. Virtual Education Journal – Looking for Submission! Please submit articles about the work you are doing in second life, minecraft, or any virtual world/online game. We want to share the exciting work that educators and students are doing as they explore new and exciting methods of teaching and learning in 3-D virtual environments. We are always interested in stories about the strategies you are using in virtual environments for your own professional learning and to help your students learn. Most of all we want to celebrate the joys of learning through the stories you share in this Fall 2013 issue of VEJ. We look forward to having you share your stories and pictures with the rest of us in this next issue of VEJ! Be sure to put hyperlinks to urls and slurls in your article/story along with lots of pictures. We would prefer pictures in png (but we can use jpeg and other formats) with the highest resolution/highest DPI possible. Be sure to include your name (both sl and rl). Your job title and contact information is optional. Thank you for your help! Be sure to ask your friends and colleagues to tell us their story, too! SUBMISSION DEADLINE is December 1, 2013. Send questions and submissions to rvojtek@edovation.com and be sure to put VEJ in the subject line. Posted in Uncategorized	| Comments Off on Virtual Education Journal – Looking for Submission! The UnSymposium will be in December this year! For now, we’re looking at the Minecraft and More! Posted in Uncategorized	| Comments Off on Save the Date! The winter issue of the Virtual Education Journal will be all about Games! Deadline is January 15th and they are looking for educators to tell their stories. GOT GAME? LET’S PLAY! The Winter 2013 issue of VEJ is coming out soon and we want to hear about your favorite games for fun, the joy of learning, and your how you are using games in education to actively engage students of all ages learning. 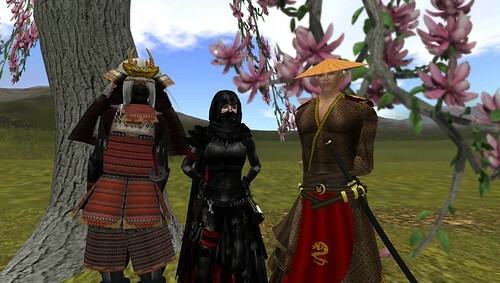 Please submit your stories about the work you are doing in second life or any virtual world/online game. We want to get the word out that ISTE SIGVE is exploring new and exciting methods of teaching and learning. We are specifically looking for stories in this issue about techniques and strategies you are using in second life and other virtual environments for your own professional learning and for helping your students learn. But, even more important for this article, we want to hear about the games you are using for your own pleasure, learning, and teaching (e.g., WoW, Club Penguin, Quest Atlantis). We look forward to having you share your stories and pictures with the rest of us in the Winter issue of VEJ! Thank you for your help! SUBMISSION DEADLINE is January 15, 2013. To submit or ask questions rvojtek@edovation.com and be sure to put VEJ in the subject line. It Takes A Guild is an educator centric video series of interviews and panel discussions featuring practitioners who have successfully implemented games into their classrooms and learning environments. As a G.A.M.E. Gamers Advancing Meaningful Education program, its mission is to help all stakeholders see and understand the deeper learning, community, creativity and entrepreneurship that is possible in online games. Gamers Advancing Meaningful Education (G.A.M.E) is an online community of global educators who game. At its core is an online synchronous gaming community. This intellectually curious network of educators develop curriculum, offer online open courses, webinars and F2F presentations on the opportunities and deeper learning that takes place in games. Great app that allows you to communicate with guildies, check auctions and remain connected to your ingame network. US Server, Sisters of Elune, Horde start outside of Orgrimmar. with Gordon Holden, Andrew Wheelock, Marianne Malmstrom and Rober Vojtek. No it’s not the Apocalypse. But, it will be disruptive. There will be rogue teachers. The Virtual Worlds and Games UnSymposium in its third year is a grassroot community organized yearly event. The theme this year is disruption and we couldn’t think of a better way to pull that theme off than ninjas, zombies and pirates. Disruption in education in whatever shape or form has been a daily topic of discussion in the popular press. To further show how things including professional development are changing, we will have a discussion with Andrew Wheelock (SL Spiff Whitfield) on the Anne Frank MOOC. The EduMachinima Fest is organizing the Fiero Film Festival on Friday Evening. The Fiero Film Festival is a viewing of educator, student and community made Machinima. Special emphasis will be on epic successes and epic failures. We’ll also be exploring badges and discussing the Mozilla Open Badge Initiative. We are in the process of developing the “Marauder” or Pirate badge for those educators demonstrating mastery in edupunk, fiero and epic educational delivery. The UnSymposium closes with a Pirates’ Ball – you’ve seen the movies, we all know how those end! If you’d like to register early feel free …. We will be contacting you with more information! Zombie invasion! intro – ie BRIEF etymology and history of zombification and zombies in popular culture b. informal introduction to Zombies, necromancers, and liches c. why are the undead so interesting? A couple of reasons why we gravitate to zombie stories with 2+ game representations of each of the above 3 subgroupings of the undead. Posted in Uncategorized	| Comments Off on Zombies! The last two years, we haven’t had a design theme but for this year – we had a request. In fact we have had a few requests. So this year will be pirate, zombie and ninja! If you’d like to volunteer for the event or have questions please im Kavon Zenovka in Second Life.